Start Programming your mind with affirmations to attract Money and Abundance to your life. Far from being a ritual or magical spell to attract money, beliefs are able to program our mind towards more positive thoughts that generate important changes in our experiences. 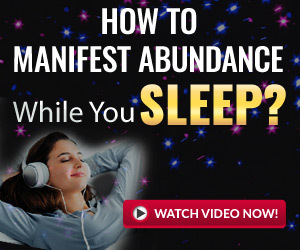 In this article we want to help you understand the importance of the power of the mind over your actions and experiences to see transform your life towards abundance and wealth. Although there is no magic formula on how to attract money, your attitude and thoughts play an important role in your actions and results. Once your mind believes in something and is programmed towards it, your actions will be destined to achieve it, and that is when you will see real changes in your life. For all this we have compiled 25 powerful affirmations to attract money that will help you focus on wealth and not on poverty. I have all the money that I want and that I need. I open myself to prosperity and abundance. I am a magnet and I attract abundance and prosperity. I am attentive to my opportunities and I take advantage of them. I have enough money for me and to give. Money and wealth come to me easily. My income increases every day. I am a means to wealth. Every day I discover new ways to make money. The money comes when I need it. Everything in my life is abundance. My wallet is full of money. I am open to receive and to give. Money brings positive things to my life. I deserve to live with health and wealth. Every day I am richer, richer and more prosperous. I succeed in everything I do. All the money that I give returns to me multiplied.